The Tototo Ankle Socks is a cute addition to your wardrobe and is comfortable to wear too. 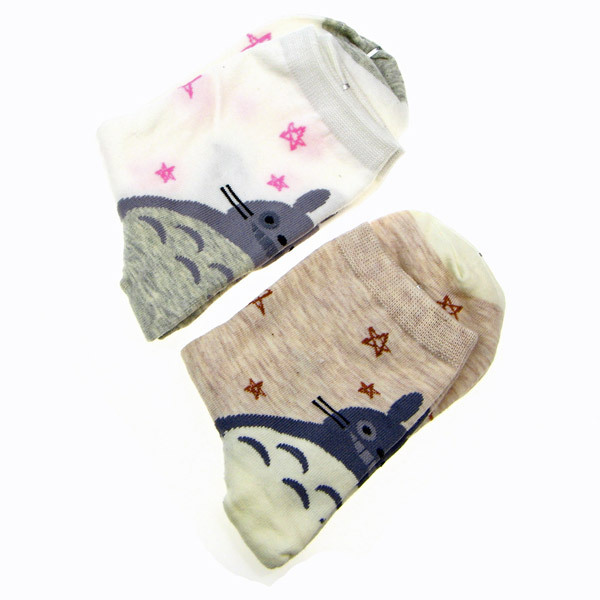 The socks feature a very cute Totoro design and available in two different colours. Great for any Totoro fans or anyone who want to add a bit of kawaiiness to their wardrobe. Socks will fit approx a UK 3-6 (22-24cm Japanese size). Images are for illustrative purposes only. One pair of socks will be sent at random.